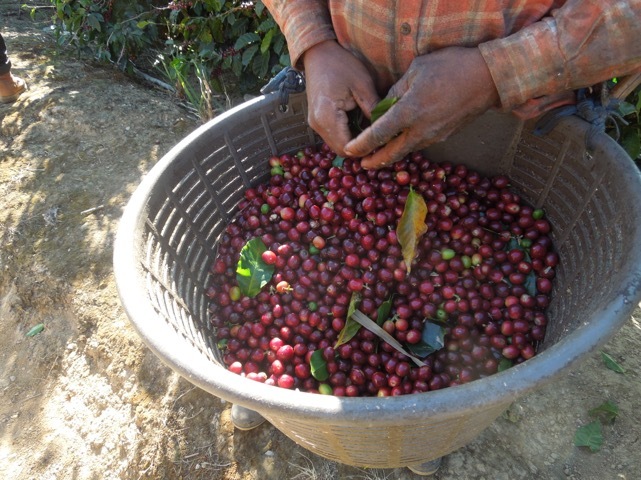 Coope Dota was created in 1960 by 96 farmers and today it is one of the most successful cooperative in the region. Today Coope Dota has 836 farmers. Coope Dota sees itself as one of the most modern coffee producer in Costa Rica. This is thanks to optimum growing techniques and the most efficient wet and drying process. Since its foundation in 1960, coffee has become the main economic resource and part of every aspect of the society of the local people. As they say themselves – coffee is their culture. Cooperative provides to its farmers and their families financial aid, health insurance, and scholarships. They are also proud to organise regional soccer tournament, a sport that is considered part of national pride, which the benefit goes to the community (church, school). Coope Dota has also their own nursery model farm, which has allowed them to have full control over the coffee growing process. This is probably also one of the reasons for their success. In the last past years Coope Dota has produced about 43,000 bags of 69 kg coffee annually. It’s about 2% of the national production. Caturra and Catuai plant varieties grow in the shade of either native or imported trees. Tarrazú region is also called “Los Santos”, ‘The Saints’, because of the 3 main towns in the region – San Pablo, San Marcos and Santa Maria de Dota. The genuine Los Santos area is divided into 3 counties: Dota, Tarrazu and Leon Cortes. Our coffee comes from Dota county. The coffee culture was established with the arrival of Spanish settlers to the Central Valley in 1779, who brought with them coffee plants. Coffee plants were introduced to the country directly from Ethiopia by colonial administrators who encouraged coffee production. Costa Rica was considered as one of the poorest colonies because it did not have gold or any other valuable minerals for Spanish crown. Though, the climate supported coffee production. The average rainfall is 2,000 mm annually, and the average temperature is around 19 C. The moderate climate was excellent for health, and soon word spread about the natural beauty of Santa Maria de Dota, thus attracting many people and farmers to the region. Thanks to its long history, coffee from Tarrazú is well know as the best coffee in Costa Rica. Coope Dota uses semi-washed method. This method is known by numerous names and in Costa Rica it is called ‘honey process’ – this is also where our coffee got its name. Similarly to fully washed method harvested coffee cherries go first to a pulping machine, which separates the bean from the fruit. The pulp is washed away and beans are fed to the fermentation tanks. Coope Dota recycles its water and never lets the washing water to go waste. After the washing process the beans stay in the fermentation tanks for 10 to 64 hours. Here the mucilage layer is broken down and the coffee’s flavour is naturally enhanced. But when in fully washed method the mucilage is washed off before drying then in this method drying coffee is still left covered in gooey mucilage, which becomes sticky like honey. This is a great process for producers who lack water. This is exactly what happens in Costa Rica, where harvesting is usually followed by a dry season. The beans are then sun-dried before being hulled and graded. Semi-washed method produces coffees which can be full bodied, and demonstrate lower levels of acidity but higher notes of fruit than fully-washed coffees.